Delve into the capabilities of SharePoint® 2010 — and determine the best way to put this technology to work for your organization. With this practical guide, you’ll gain project management practices for implementing SharePoint, and learn how to customize the system to match the unique collaboration and data-sharing needs of your users. Your companion content includes a fully searchable online edition of the book — with unlimited access on the Web. Customize SharePoint 2010 to fit the needs of your business with this hands-on guide. What Is the SharePoint 2010 Project Mantra? What Is the Terms of Reference Document, and Who Creates It? Chapter 15 SharePoint Is Implemented, Now What? 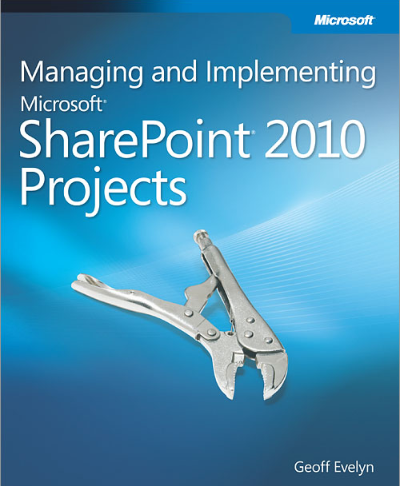 Chapter 2: What is SharePoint 2010 Project Mantra?